It is that time of year for all of us to show mom the appreciation she deserves on her special day. Luckily 1800Flowers.com has a great special of 25% for Mother’s Day. These are not some cheap flowers from your local grocery store that everyone and their dog picks up at the last minute. These are genuine specially made just for your Mom. 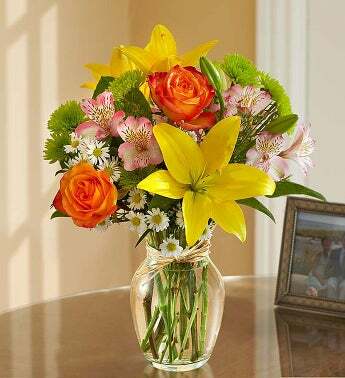 1800Flowers.com is the leader in providing quality flower arrangements at excellent prices. Go with the innovator that has been around for over a decade.